EKA has done it again! The G3 is a new take on the original tried and proven design and concept. The G3 has a more ergonomically designed and formed handle for an exceptional grip and feel in the user’s hand. 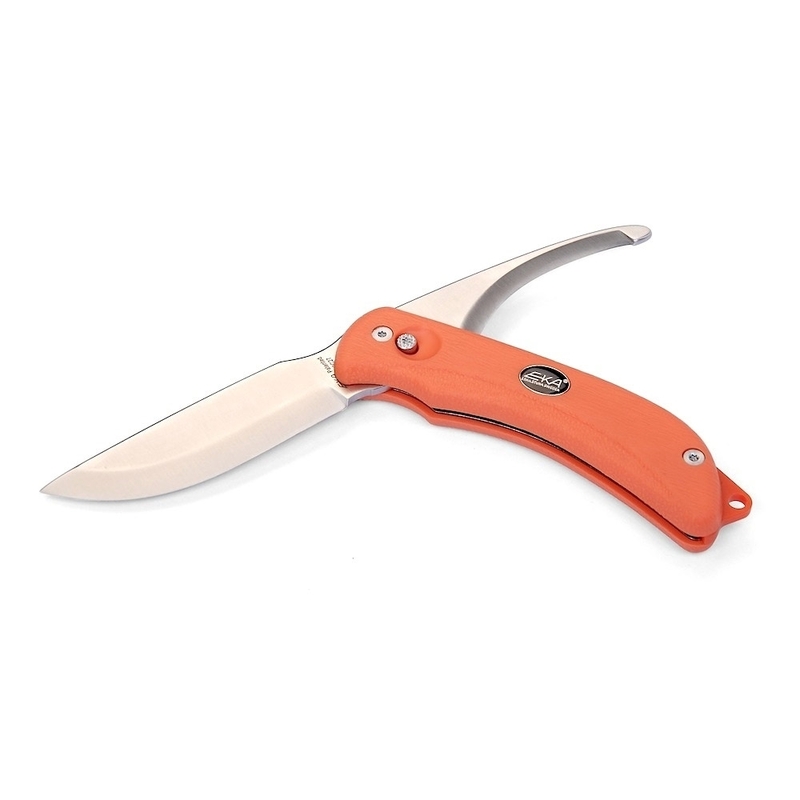 Quickly switch between the Skinning Blade and the Gutting Blade with a simple fluid motion when the lock button is depressed. 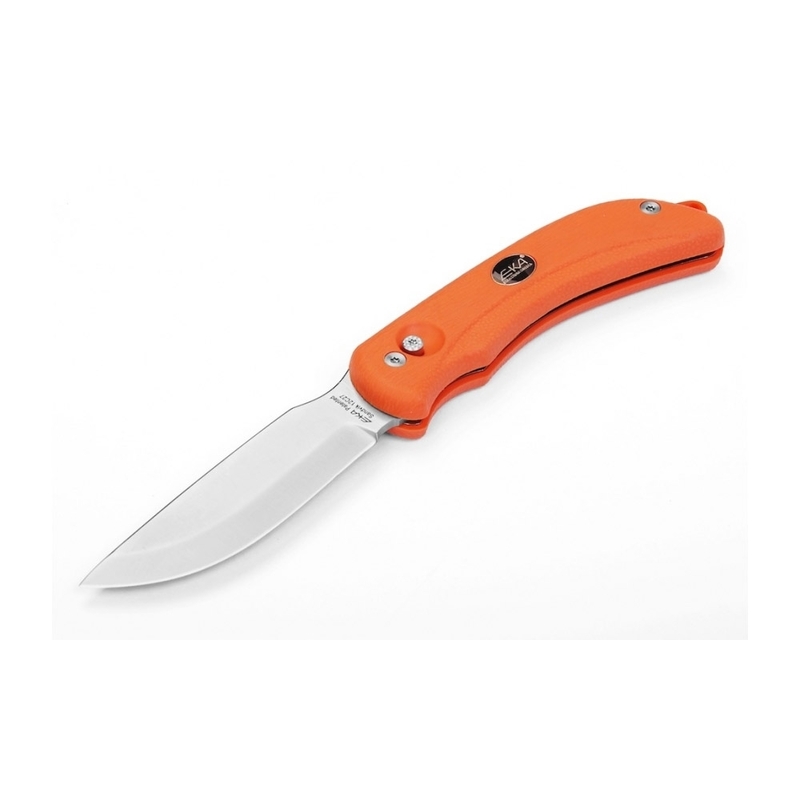 Made with high quality renowned Swedish Sandvik 12C27 Steel and hardened to 57 – 59 HRC which helps to achieve a durable edge and maintain sharpness. Also has a place to attach a lanyard to keep your G3 with you and where it should be. 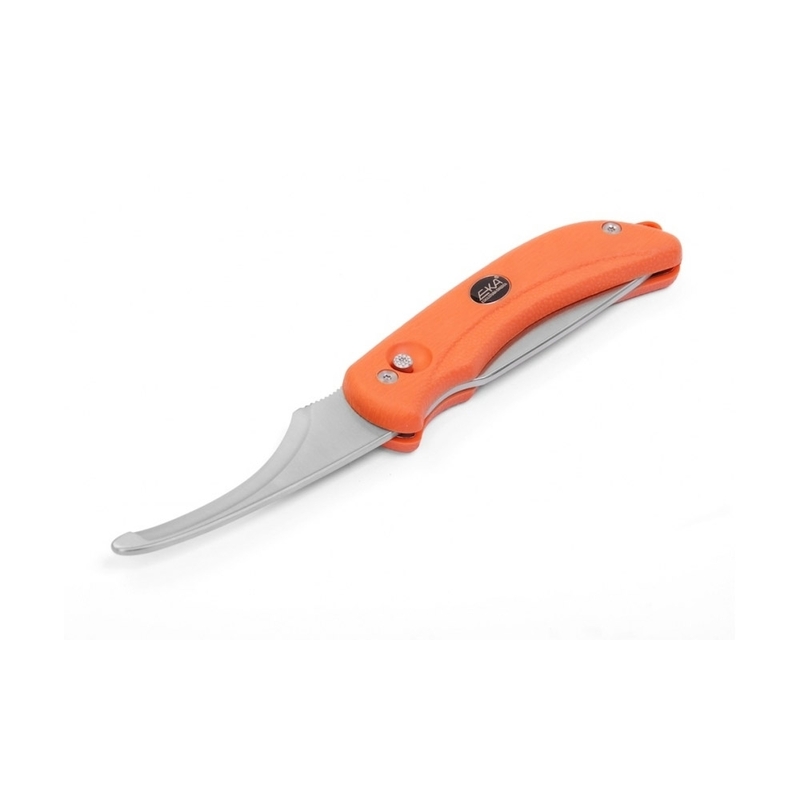 FEATURES: Polished finish; Textured thumb grip on the concave blade; Scandi-ground blade; Smooth thumb grip on the knife blade; Ergonomic handle design; Lanyard hole; Hinged black cordura belt sheath; Patented Internationally - Pending Patent in the US.